At Wet Noses Pet Sitting we have only the best sitters ready to care for your pets. All of our sitters are covered by our bonding and insurance, background and reference checked and have experience with animals. All sitters become pet CPR certified within two months of joining our team and receive training in animal care. Below are short biographies of each of our sitters so that you can get to know a little about them. My name is Liana and I am the owner of Wet Noses Pet Sitting! 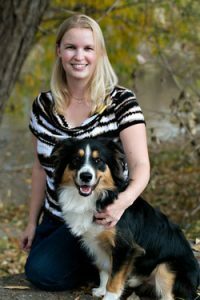 I am a graduate of CSU with degrees in Biology and Zoology and have been pet sitting in Fort Collins for 12 years. I have been working with animals most of my life, including working at the Larimer Humane Society, Wildkind and the Canine Learning Center. I have also been a foster parent for a variety of animal rescues including: All Breed Rescue, Italian Greyhound Rescue, and Rottie Aid. I spent time volunteering with Avalon Aviary to learn more about our feathered parrot friends and spent years teaching as a Pet Tech Pet CPR Instructor. I had a great time teaching classes for our sitters, clients and the local public, as well as increasing my knowledge of pet nutrition and other specialized care, including pet hospice, an emerging field increasingly needed by our clients. I began pet sitting in 2001 and started Wet Noses Pet Sitting after many years of just helping out friends and family. I currently share my home with my cat Aislinn, my English Shepherd Podrick (pictured here) and a 45 gallon freshwater fish tank. I love to make sure that your pets are receiving the wonderful care that Wet Noses Pet Sitting is known for! 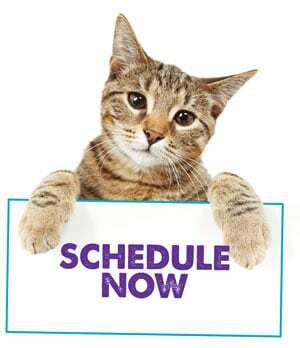 How Do I Choose a Pet Sitting Service? As the Pack Leader, Gabby works with our clients and our sitters on a daily basis to ensure that we provide stellar services. As a Wet Noses Pet Sitting client, and then subsequently a pet sitter for Wet Noses, Andrea takes great pride in being detail-oriented and treating your fur babies the way you would take care of them yourselves. Carissa has spent her life working with animals and now she is excited to spend time with your pets! Jackie has great horse and reptile experience in addition to working with dogs and cats. She is looking forward to spending time with your pets! Jami is a long-time animal lover who became a dog trainer and is now pet sitting to spend more time with your furry friends! After working in all aspects of the pet world, Jessica realized that pet sitting is her passion and is excited to work at Wet Noses Pet Sitting to follow that passion! Jessica grew up surrounded by animals and has previously worked at a veterinary clinic. She is loving pet sitting while going to school to be a veterinarian! Molly is a Colorado native who grew up on a farm with a wide variety of animals. She enjoys spending time with your pets when you are gone! Phyllis is thrilled to use her nurturing background working in health care to instead care for the animals in Loveland. Savanna has had a wide berth of animal experience while living all around the world. Now she is excited to bring her expertise to Wet Noses Pet Sitting! Shannon is a track and cross country coach who loves spending time with animals and working as a pet sitter now that her kids are grown! Tara grew up in Fort Collins working with dogs and other animals. Now she wants to spend time with your pets!